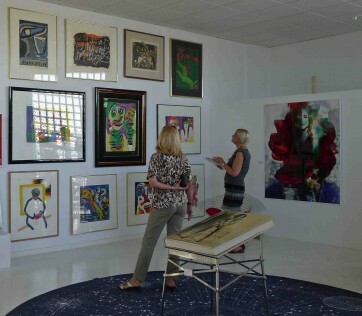 The RED PENGUIN GALLERY of Design & Contemporary Art, already well-known in Marbella for its unique modern art has moved and opened its doors at the exclusive Guarnieri showroom in San Pedro Alcántara on 8 May, bringing an exciting new urban concept of CARS · ART · DESIGN to Marbella. More than just a gallery, it is a celebration of modern art and design, with top international artists and NEW a permanent exhibition from influential Dutch Designers – surrounded by beautiful cars. Art and design live at this Creative Centre, the creation of Red Penguin Gallery and Guarnieri, with a monthly schedule that includes cultural events, master classes, lectures, fashion shows and art dinners. Red Penguin specialises in Art Consults and Art Investment and is naturally constantly evolving bringing new exhibitions from both local and international artists, travelling all over the world to find exciting new artists. 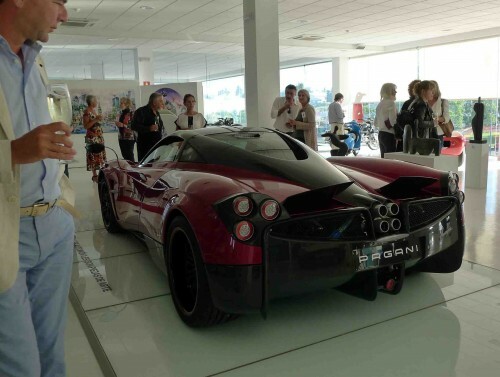 Design, style and art are at the heart of everything, while visiting artists and designers including the prestigious Dutch Designers, creators of some of the most desirable modern furniture in the world today – and the makers of McLaren and Pagani super cars giving live master classes. These events will be building up to a fascinating Design Week in September, so make sure you visit the gallery, lose yourself in the Library or be surrounded by visual delights as you enjoy drinks and snacks in the Art Lounge (library and art lounge opening soon). Exclusive cooperation with famous Dutch Designers such as: Paul Heijnen, Tessa Koot, Niek van der Heijden, rENs en Nacho Carbonell. We also collaborate with labels such as Moooi Carpets and Booo, who present at the opening exhibition: Marcel Wanders, Edward van Vliet and Nacho Carbonell.